The president of oil-rich Azerbaijan picked his wife to be the nation's first-ever vice-president on Tuesday, a move which critics say effectively ensures dynastic rule in the ex-Soviet country. President Ilham Aliyev, 55, named his wife Mehriban Aliyeva, 52, as vice president after he ordered a referendum last year to create the role and extend his own term from 5 to 7 years. (Original Caption) Calvin Coolidge is seen here, (1872-1933), the 30th President of the United States. This is a head and shoulders photograph. (Original Caption) President Gerald Ford is seen here in a head and shoulder 3/4 profile. The resolutions passed in September with more than 90 percent of the votes, though European democracy watchdogs have criticized past votes in the country as having vote-rigging. "The move throws Azerbaijan back to medieval, feudal times," opposition leader Isa Gambar of the Musavat party told AFP. President Ilham Aliyev has been in power since 2003, when he won a much criticized election after his father, Heydar Aliyev, stepped down amid failing health. Heydar Aliyev was the leader of Soviet Azerbaijan from 1969 to 1982, and was president of the Republic of Azerbaijan from 1993 to 2003. If Aliyev was incapacitated, Aliyeva would be next in line to take over the presidency. Azerbaijan's constitution does not specify the other duties for the position. Until her appointment, Aliyeva led a charitable foundation to promote the political legacy of her father-in-law by sponsoring music and dance performances in Paris and Moscow. Born into a powerful Azerbaijani family, Aliyeva is the granddaughter of a well-known writer and the niece of a former ambassador to the US. The couple has been married since 1983 and has three children. Despite an increase in diplomatic ties between Azerbaijan and the US, the country is still regularly criticized for electoral fraud and human rights violations at the governmental level. 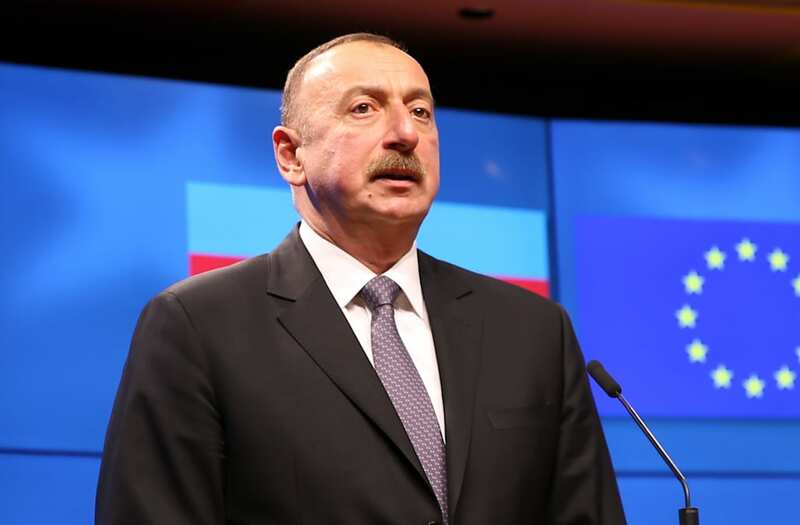 Critics have said the resolutions passed in September give Aliyev "unprecedented powers" and were passed under suspicious circumstances, according to Reuters. "The referendum has been accompanied by arrests and intimidation from the beginning," Denis Krivosheev, Deputy Director for Europe and Central Asia at Amnesty International, said in a statement. "Those who have attempted to criticize and campaign against these proposals have faced assaults and harassment by the authorities." As Aliyev welcomed his wife to the new position, members of the country's higehst law-making body in Baku rose and clapped. The controversial move has also been met with criticism from the country's top journalists, who pointed out the irony in having a president appoint his wife to Azerbaijan's second-highest post. I hope no one will bs about women empowerment. It is a wife empowerment, corruption empowerment, nepotism. And this is just disgusting.